Soft-Tough® Series | David's Inc.
Made of self-skinned, solid molded, high-density polyurethane. Extremely durable and easy to clean. 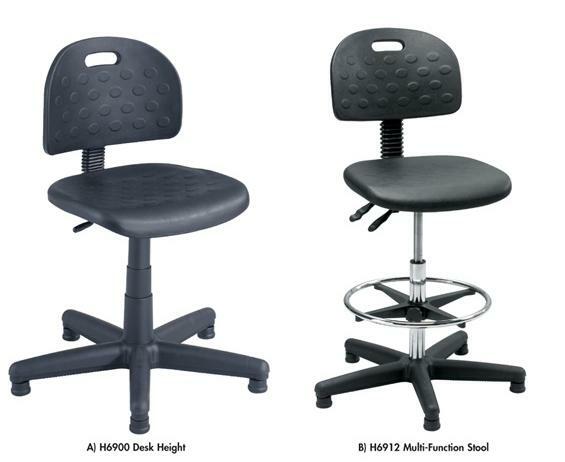 Seat height, seat back, and footring are adjustable. Stool comes standard with pods. Seats measure 18”W. x 16.5”D. 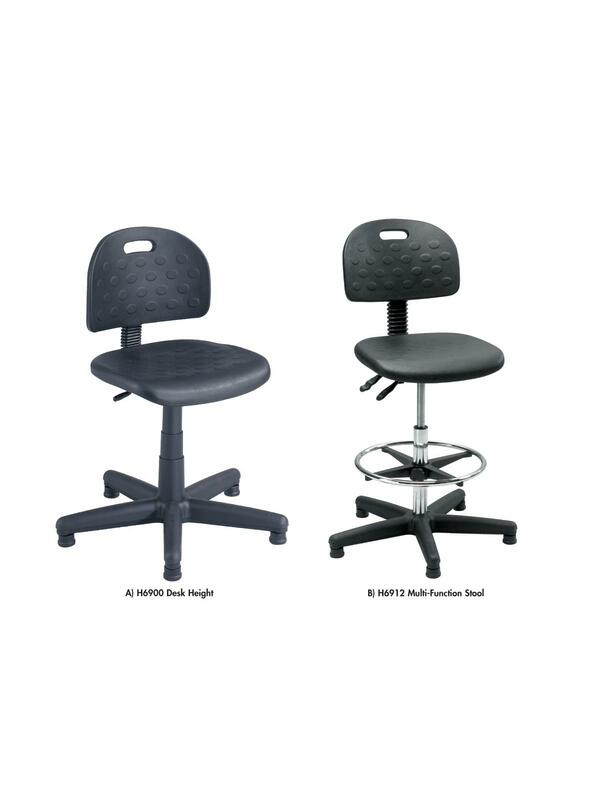 Backrest measures 12”H. x 17”W. Hard floor casters are optional. Steel base is covered in a durable black poly. Seat and back adjust and lock in position. 18" seat width and 16.5" depth. Backrest measures 12”H. x 17”W. Seat height and footring are adjustable. Stool comes standard with pods. Hard floor casters are optional.